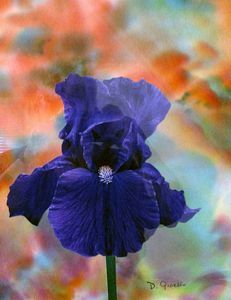 A new collection incorporating the juxtaposition of realism and impressionism. The dimensional paintings are presented as collages. 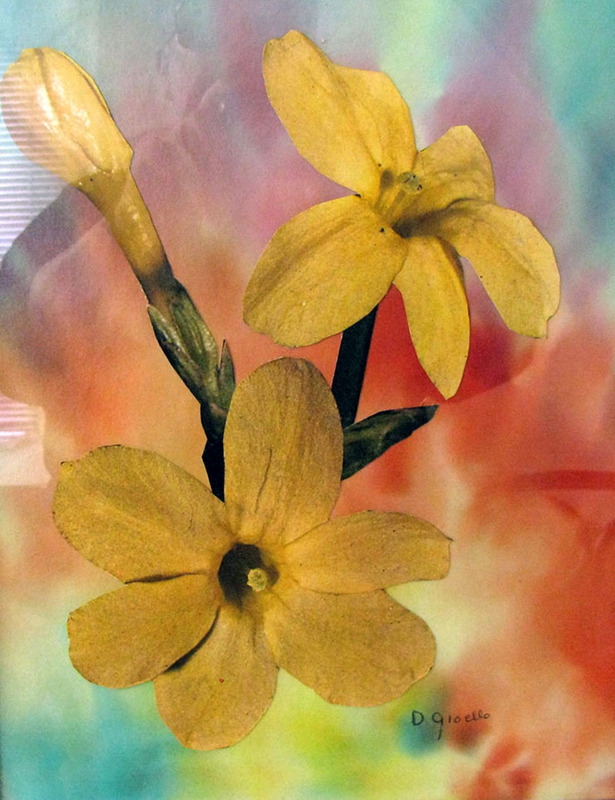 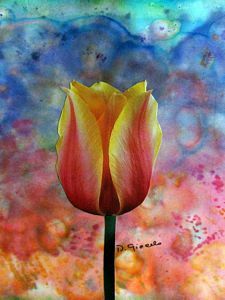 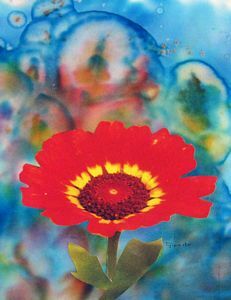 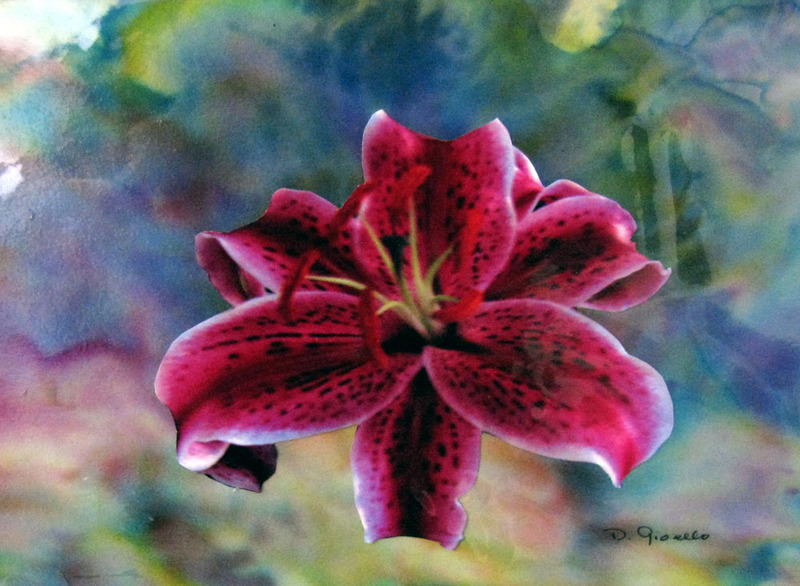 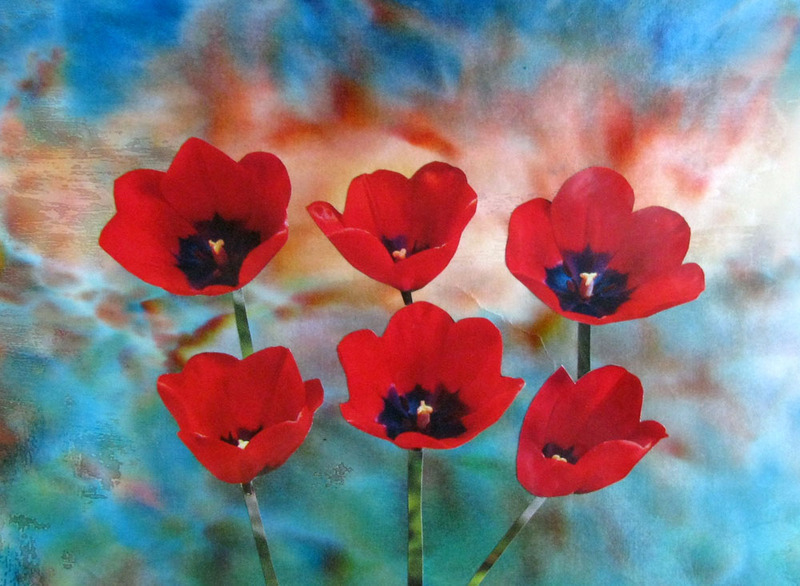 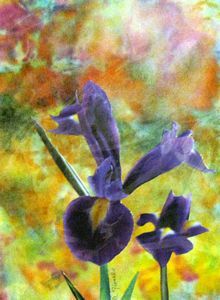 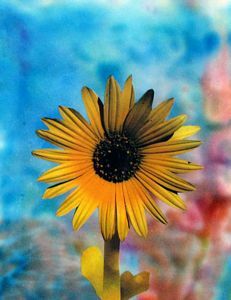 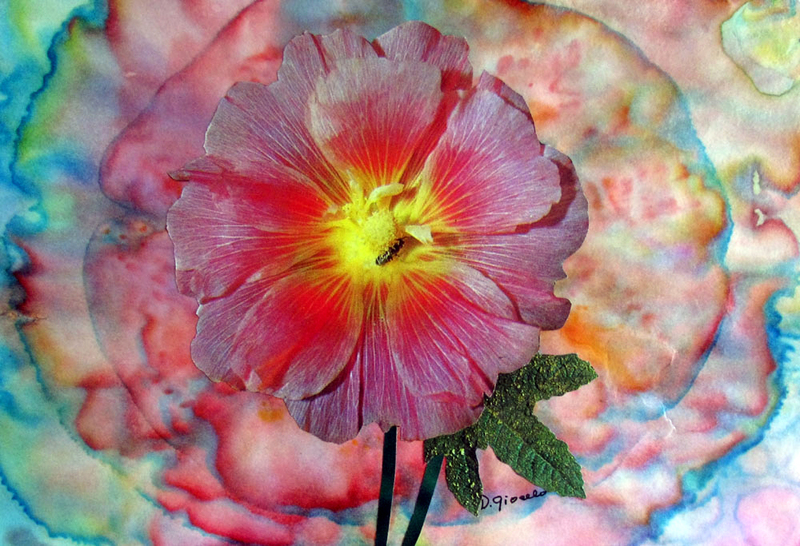 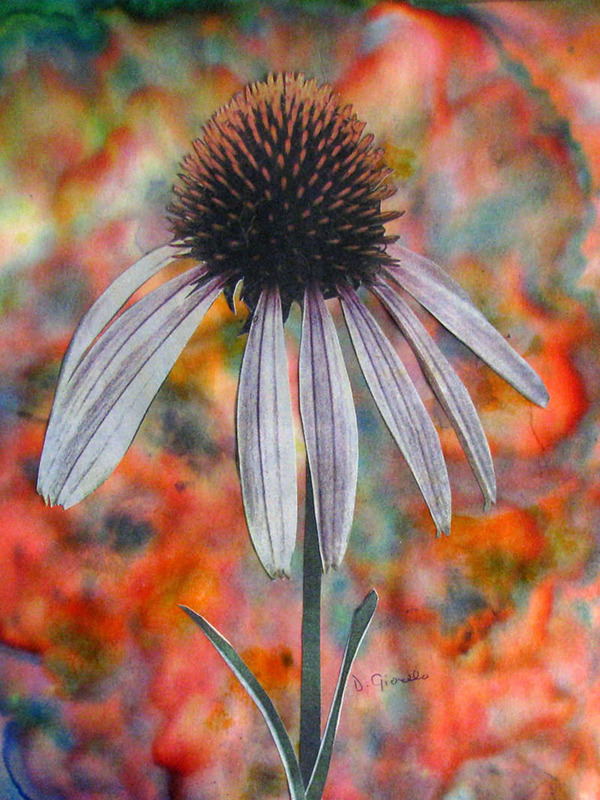 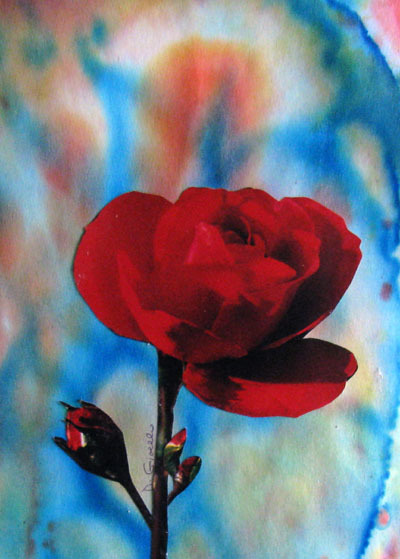 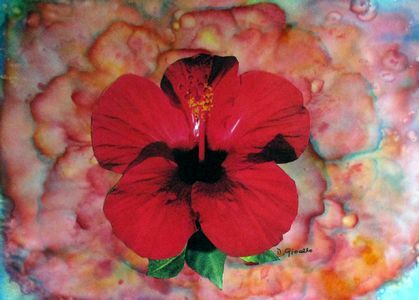 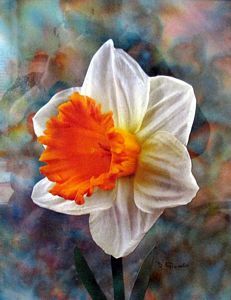 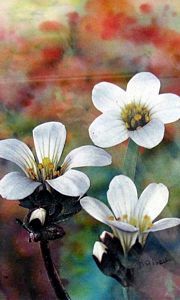 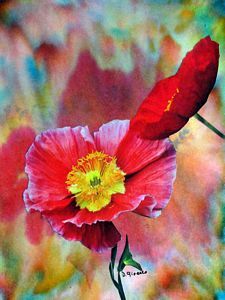 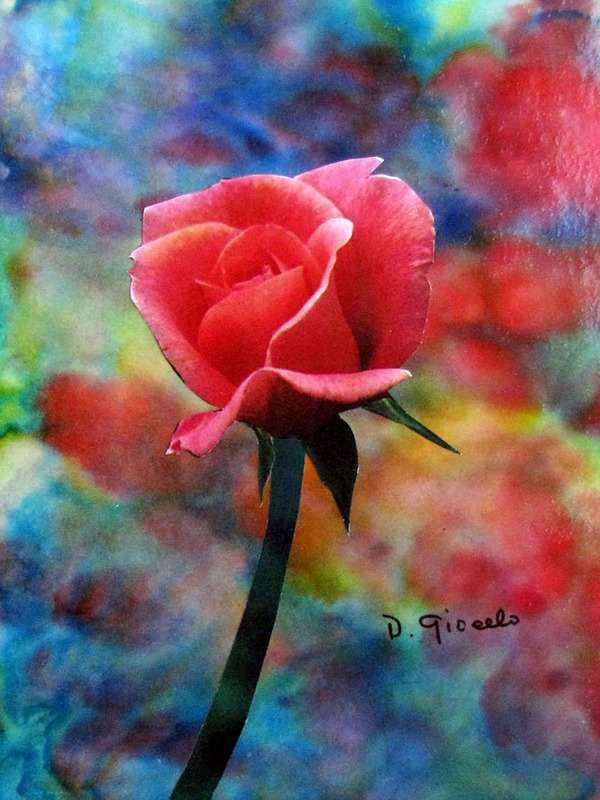 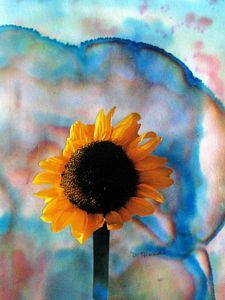 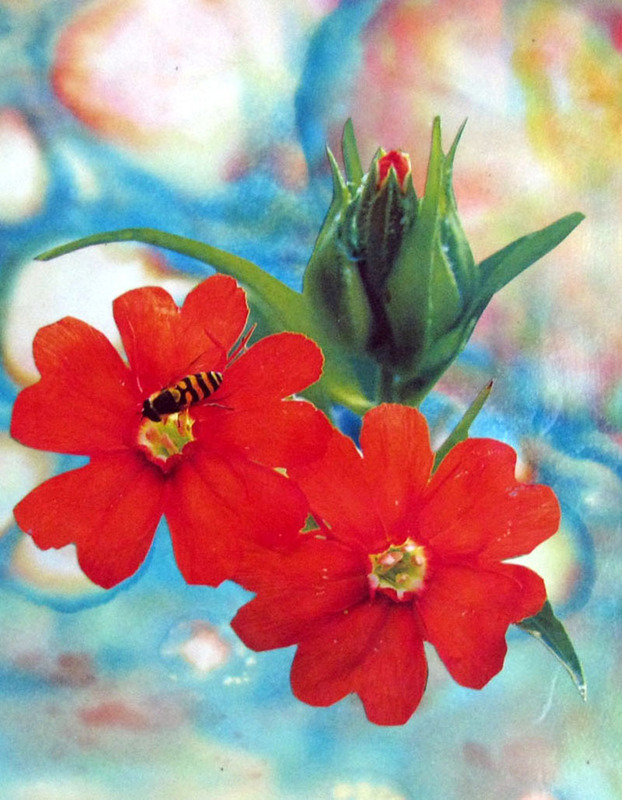 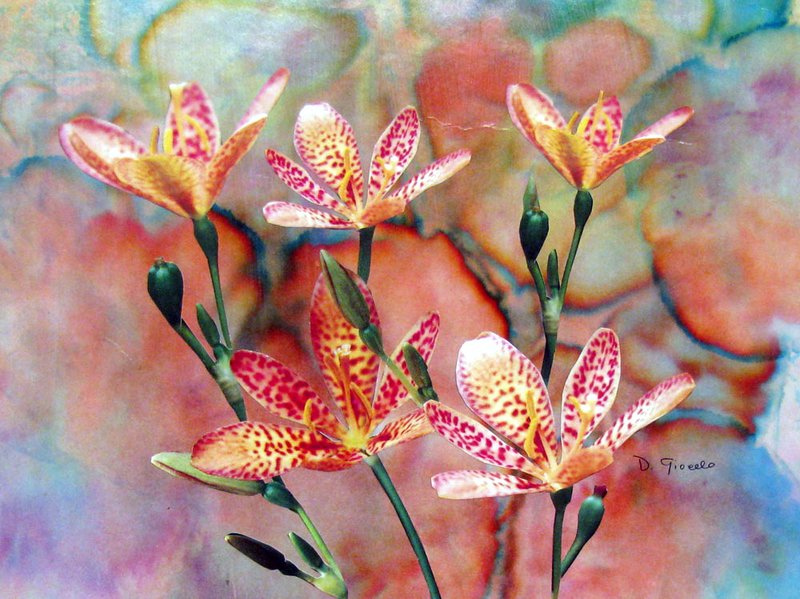 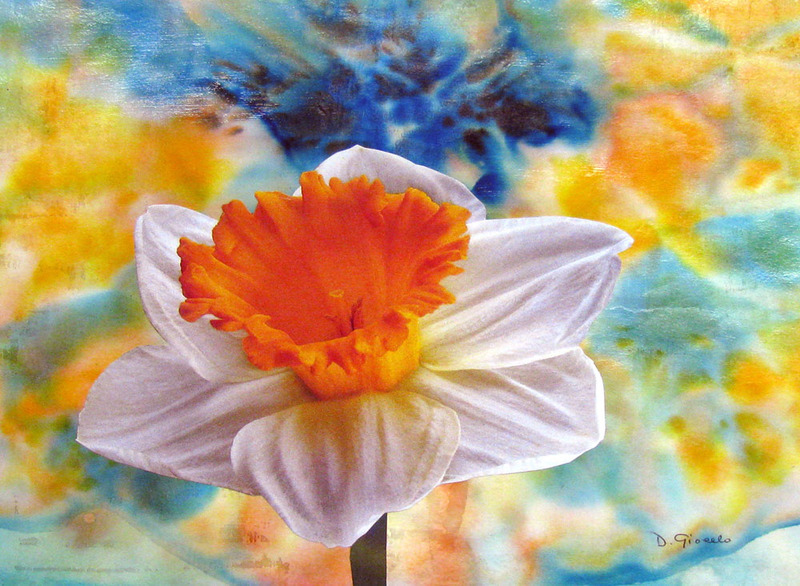 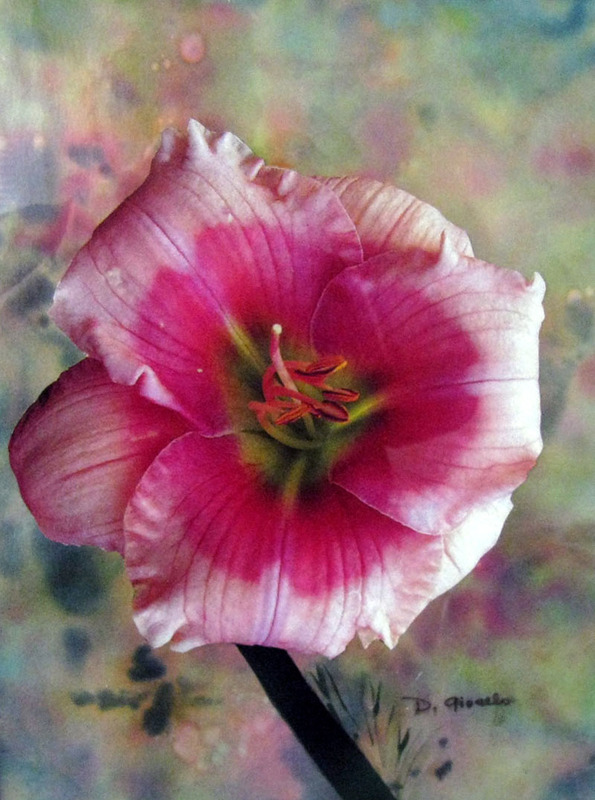 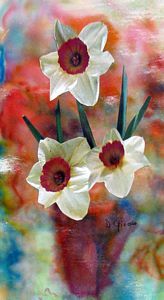 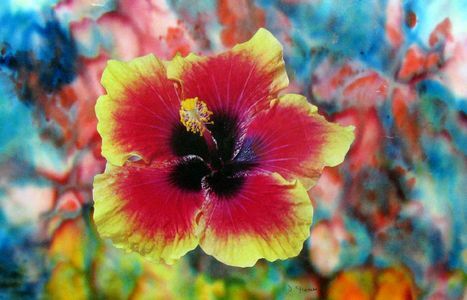 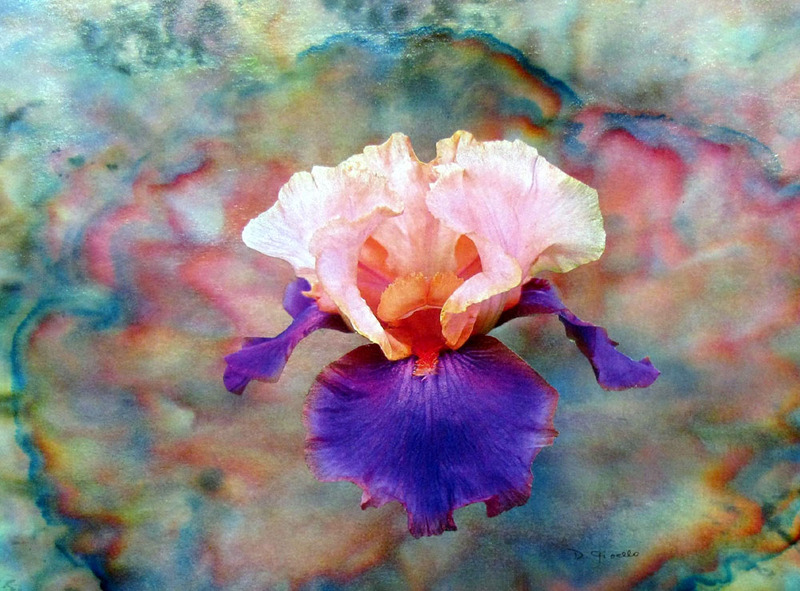 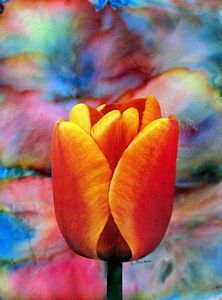 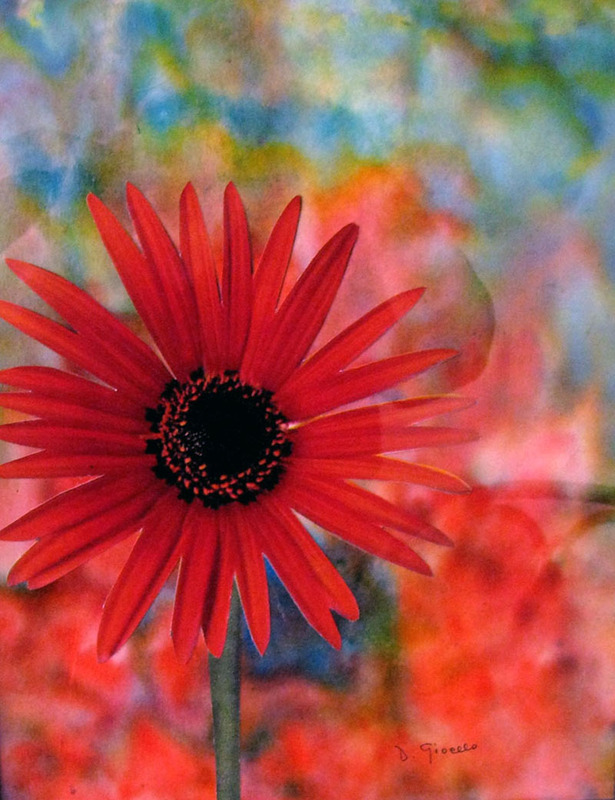 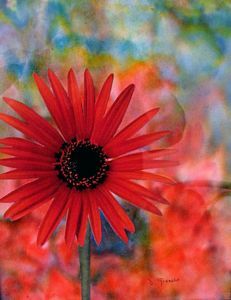 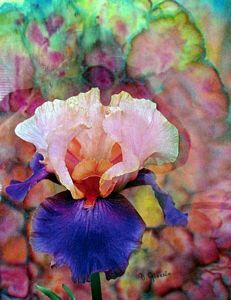 Large realistic flower images are superimposed on my impressionistic "Vision of a Flower Garden" series of infused watercolor paint and dyes on paper. The finished work combines two mediums to represent one dynamic visual impact.